The Environmental Protection Agency has shrunk considerably since Scott Pruitt took over as administrator. In fact, the agency is back to President Reagan-era staff levels. Over 700 EPA personnel have either retired, quit, or taken voluntary buyouts since Pruitt took over, Think Progress found after combing through federal employment statistics. Some are quitting in "disgust." Liberals were outraged over Pruitt's nomination last year, labeling him a "climate skeptic" and criticizing his ties to the fossil fuel industry. 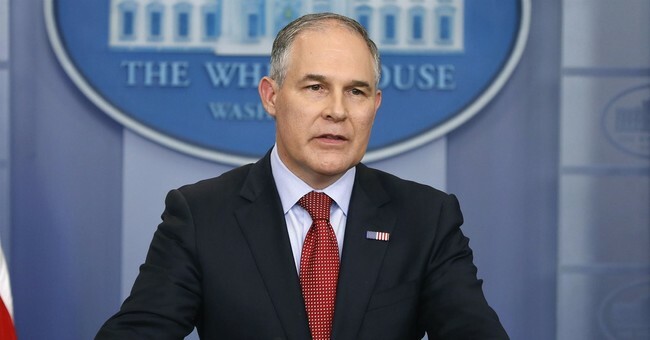 "Having Scott Pruitt in charge of the US Environmental Protection Agency is like putting an arsonist in charge of fighting fires," Michael Brune, executive director of the Sierra Club, said of the nomination. Famous environmentalist Leonardo DiCaprio brought his concerns straight to President-elect Trump at Trump Tower, where he and activist Terry Tamminen reportedly prepared a presentation explaining how preserving the environment has a positive effect on the economy. Pruitt has been credited with influencing Trump's decision to pull the U.S. out of the Paris Climate Agreement. He has also targeted the Obama-era Clean Power Plan and Clean Water Rule. Rolling Stone Magazine accused Pruitt of "quietly tearing down decades of environmental progress."